Ranbir has been struggling for a hit and then he teamed up with his favorite director Imtiaz Ali who gave Ranbir a shattering hit with Rockstar in his career. With high success rate and criticial acclaim for his films, Imtiaz Ali has a the strong base of multiplex audience in which his movies do well. The movie released all over the world in 2500 screens out of which India had 2100 screens occupied for the movie. The film opened to packed houses all over and the movie received critical acclaim. Though the mouth talk has been mixed, the makers are expecting it to be better by the weekend. 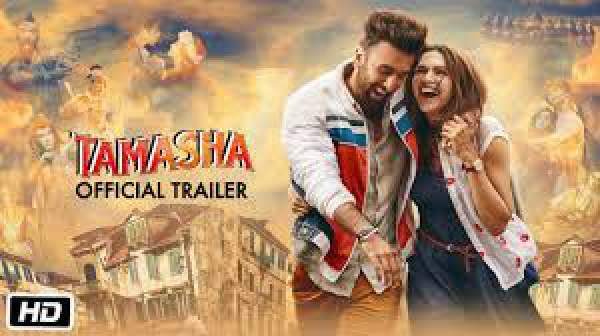 Ranbir Kapoor’s stupendous performance during the second half along with the sizzling chemistry with Deepika Padukone are said to be the major highlights of the movie. Deepika has been stunning all over and she performed so hard for the character she has been assigned. Imtiaz Ali’s unique narration and AR Rahman’s music along with the background score are the additional assets for the film. It ended up as the biggest opening ever for Ranbir Kapoor’s film. The flick minted Rs 23.5 crores [worldwide] on its opening day which is huge in the recent times. The collections are expected to be huge over the weekends with no other films around. Sajid Nadiadwala produced the latest Ranbir starrer on Nadiadwala Grandson Entertainments banner. The movie is about Dev who thinks and behaves according to his heart. Ranbir Kapoor pinned huge hopes on the movie and he is in plans to be back to the commercial league with the film. Keep yourself updated with the Tamasha collections. Don’t forget to share it on social media sites like Facebook, Twitter, Google Plus, and others to let others know about it.